Poison Ivy. I created this picture using photoshop. 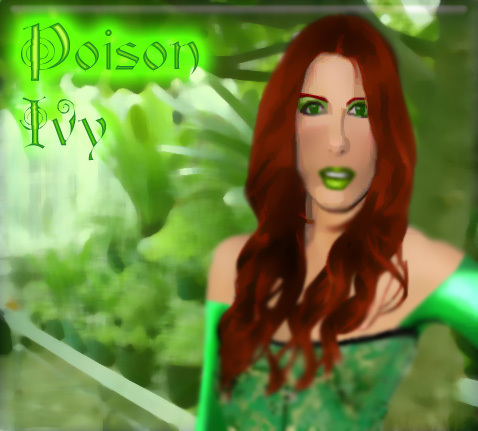 it's another photo-manipulation.. Wallpaper and background images in the batman club tagged: poison ivy batman villain photo-manipulation ivy. This batman fan art might contain potret, headshot, and closeup. Thank you! If you have any suggestions for any other supervillains, send them my way! I give it a thumbs up! Great job!